An Evening with Velvet Caravan with Annie Sellick and Mercury Orkestar— Savannah’s beloved Gypsy Jazz and Latin Swing band Velvet Caravan will headline a very special evening of music. Atlanta’s balkan band Mercury Orkestar will open the night. $25, $35, $45 Fri., Sep. 14, 7:30 p.m. lucastheatre.com. Lucas Theatre for the Arts, 32 Abercorn St.
Savannah Philharmonic: 10 Years In the Making: Fire and Spirit—This concert will relive the Philharmonic’s storied history as they reprise the very first concert the orchestra ever performed. Beethoven’s fiery Fifth Symphony caps off an evening which features pianist Quynh Shannon and the Savannah Philharmonic Chorus, as well as a new work commissioned just for the occasion by celebrate composer Richard Sortomme. Sat., Sep. 22, 7:30 p.m. savannahphilharmonic.org. lucastheatre.com. Lucas Theatre for the Arts, 32 Abercorn St.
Fall for the Sapphire Bullets of Pure Love— The Sapphire Bullets, the legendary rhythm & blues big band, has been rocking Savannah for over 25 years. Reserved seats, $20 & $25 premium Sat., Sep. 22, 8 p.m. 912-472-4790. Tybee Post Theater, 10 Van Horne. Savannah Philharmonic: Brass on High— The inaugural concert of the Spotlight Series features members of the Philharmonic’s brass section performing illuminating arrangements of audiences’ favorite classical melodies. Sun., Sep. 30, 5 p.m. savannahphilharmonic.org. elcota.org. Lutheran Church of the Ascension, 120 Bull St .
Frankie Beverly & Maze— Maze is an American soul/quiet storm band established in San Francisco. $60 Sun., Sep. 30, 6 p.m. savannahcivic.com. savannahcivic.com. The Savannah Civic Center, 301 West Oglethorpe Ave.
Maria Muldaur— Grammy-nominated American folk, roots and blues songstress. $20-$25 Fri., Oct. 5, 8 p.m. tybeeposttheater.org. Tybee Post Theater, 10 Van Horne. First Friday for Folk Music— Monthly folk music showcase hosted by the Savannah Folk Music Society in a friendly, alcohol-free environment. Hosted by Tom Cooler. $5 donation first Friday of every month, 7:30 p.m. 912-484-3936. savannahfolk.org. fpc.presbychurch.net. First Presbyterian Church, 520 Washington Ave.
Ronnie, Bobby, Ricky and Mike— Bobby Brown and Bell Biv Devoe perform onstage together. Sun., Oct. 7, 7 p.m. savannahcivic.com. The Savannah Civic Center, 301 West Oglethorpe Ave.
Savannah Philharmonic: Picnic in the Park—With performances by local musicians, student groups, and the Savannah Philharmonic, the largest outdoor event in Savannah brings the whole community together to celebrate through the power of live music. Free Sun., Oct. 7, 7 p.m. savannahphilharmonic.org. Forsyth Park, Drayton St. & East Park Ave.
Savannah Philharmonic: Masters of Baroque—Performing on period instruments, members of the Savannah Philharmonic perform works by Telemann, Couperin, and other giants of the Baroque era who continue to influence music to this day. Sun., Oct. 14, 5 p.m. savannahphilharmonic.org. elcota.org. Lutheran Church of the Ascension, 120 Bull St .
Armstrong Wind Ensemble in Concert— Located in Fine Arts Auditorium. $6 Tue., Oct. 16, 7:30 p.m. 912-344-2801. armstrongboxoffice@georgiasouthern.edu. Armstrong Campus, Georgia Southern University, 11935 Abercorn St.
Southern Songbirds: Jill Knight, Danielle Howle & Caroline Aiken— Three beautiful singer-songwriters from opposite coasts come together on the Tybee Post Theater stage for an incredible night of music. $20 Sat., Oct. 20, 8-10 p.m. 912-472-4790. Tybee Post Theater, 10 Van Horne. The Dirty Doors— The Dirty Doors, the ultimate celebration of the music of The Doors, will set the night on fire. $20 Sat., Oct. 27, 8 p.m. 912-472-4790. Tybee Post Theater, 10 Van Horne. Tube/Euphonium in Concert— Located in Fine Arts Auditorium. $6 Thu., Nov. 1, 7:30 p.m. 912-344-2801. Armstrong Campus, Georgia Southern University, 11935 Abercorn St.
First Friday for Folk Music— Monthly folk music showcase hosted by the Savannah Folk Music Society in a friendly, alcohol-free environment. Hosted by Tom Cooler. $5 donation first Friday of every month, 7:30 p.m. First Presbyterian Church, 520 Washington Ave.
Savannah Philharmonic: Mallets and Melodies— For this bombastic chamber performance, the Savannah Philharmonic shines a spotlight on its tremendous percussion section. $ Sun., Nov. 4, 5 p.m. savannahphilharmonic.org. Lutheran Church of the Ascension, 120 Bull St .
Armstrong Percussion Ensemble in Concert— Located in Fine Arts Auditorium. 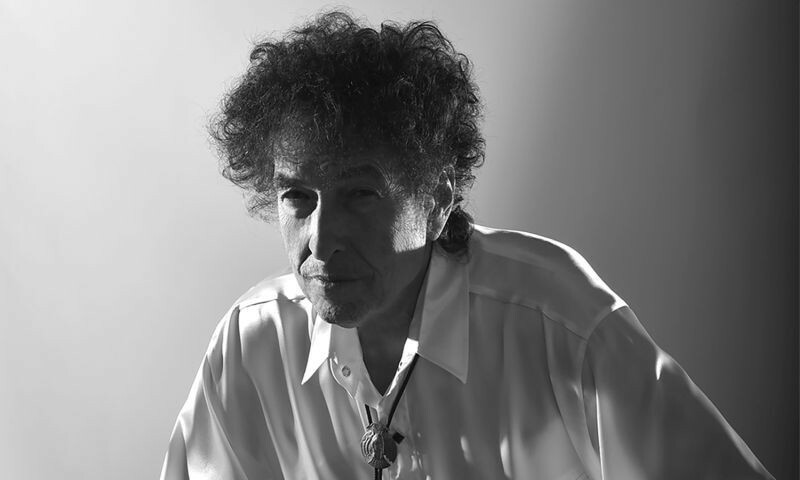 $6 Tue., Nov. 6, 7:30 p.m. Armstrong Campus, Georgia Southern University, 11935 Abercorn St.
Bob Dylan and His Band— Legendary singer, songwriter, and artist comes to Savannah. Tickets go on sale Friday, Aug. 10 at 10 a.m. $55, $85, and $115 Tue., Nov. 6, 8 p.m. tickets.savannahboxoffice.com. savannahcivic.com.Johnny Mercer Theatre, 301 West Oglethorpe Ave.
Ray Lamontagne— Grammy Award winning singer/songwriter returns to the stage on his Just Passing Through acoustic tour. Tue., Nov. 13, 7:30 p.m. savannahcivic.com. $ Johnny Mercer Theatre, 301 West Oglethorpe Ave.
Kris Kristofferson & The Strangers— Heralded as an artist’s artist and a legend of the stage and screen, singer-songwriter Kris Kristofferson will give an intimate performance at The Lucas, joined by special guest members of the Merle Haggard band. $35-$65 Tue., Nov. 13, 8-10:30 p.m. Lucas Theatre for the Arts, 32 Abercorn St.
Savannah Philharmonic: An Evening with Anthony Kearns— Back by popular demand, the Savannah Philharmonic Orchestra and Chorus are proud to have Anthony Kearns, member of the renowned Irish Tenors, return for an evening of rich and memorable melodies. $ Sat., Nov. 17, 7:30 p.m. savannahphilharmonic.org. lucastheatre.com. Lucas Theatre for the Arts, 32 Abercorn St.
A Motown Christmas— The Motown Experience is a world-class vocal group assembled from past and present members of Motown’s most legendary groups....The Temptations, The Miracles and The Capitals. $ Nov. 25, 7 p.m. lucastheatre.com. Lucas Theatre for the Arts, 32 Abercorn St.
Armstrong Jazz Ensemble in Concert— Located in Fine Arts Auditorium. $6 Thu., Nov. 29, 7:30 p.m. Armstrong Campus, Georgia Southern University, 11935 Abercorn St.
Savannah Philharmonic: Holiday Pops—Along with the stunning American Traditions Competition Gold Medalist Erica Everett, the Savannah Philharmonic and Orchestra present your favorite holiday tunes. $ Fri., Dec. 7, 7:30 p.m. savannahphilharmonic.org. Johnny Mercer Theatre, 301 West Oglethorpe Ave.
Savannah Philharmonic: Holiday Pops- Family Matinee—The annual one-hour family matinee features audiences favorite holiday classics, sing-along melodies, and an appearance by the beloved Savannah Children’s Choir. $ Sat., Dec. 8, 3 p.m. savannahphilharmonic.org. savannahcivic.com. Johnny Mercer Theatre, 301 West Oglethorpe Ave.